Last year, Seattle’s city council repealed a tax on big employers less than a month after approving the legislation designed to raise funds to support homeless programs. 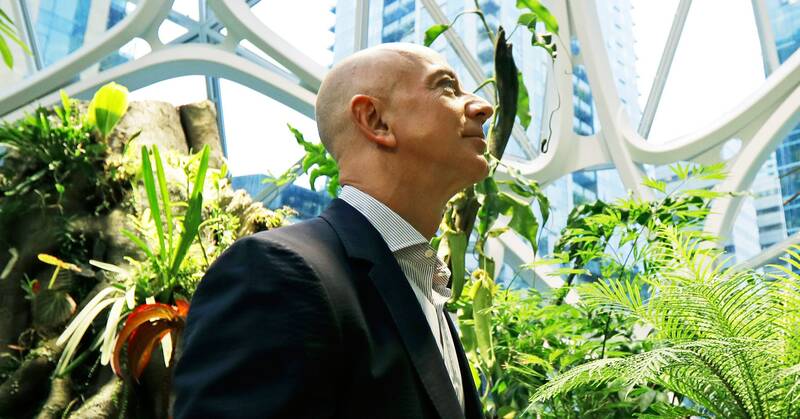 The quick reversal came after Amazon, which employs around 45,000 people in the city, halted the construction of a new building and threatened to not occupy space it had leased in the planned Rainier Square tower because of the tax. Now Amazon says it won’t move into the Rainier Square tower after all. The company leased 722,000 square feet, enough for between 3,500 and 5,000 people, according to The Seattle Times, in the still-under-construction Rainier Square tower in fall 2017. The announcement follows Amazon’s decision not to open an additional headquarters in New York City following backlash over the $3 billion in tax breaks and other incentives the company was expected to receive from state and local governments. New York governor Andrew Cuomo has appealed to Amazon CEO Jeff Bezos to reconsider, The New York Times reported Thursday. In Seattle, members of the city council last year initially proposed a “head tax” of approximately $500 per employee on companies with annual revenue in the city of $20 million or more. Amazon would have had to pay around $22.5 million per year for its 45,000 employees. The tax would have changed to a 0.7 percent payroll tax in 2021. After Amazon halted construction on its new building and threatened to sublease the Rainier Square space, the city council passed a compromise that cut the head tax in half and ditched the payroll tax idea entirely. The city expected the revised tax to raise $47 million a year for services for the homeless and construction of affordable housing. Less than a month later, facing a ballot initiative to overturn the tax, the city council voted to repeal it. Tensions between Amazon and Seattle were already growing before the head tax. When Amazon announced its plans to open a second headquarters outside of Seattle, then Seattle Chamber of Commerce chair-elect Heather Redman said it should be a wake-up call for the city to change its attitude toward the company.